It's #TwinTuesday again. 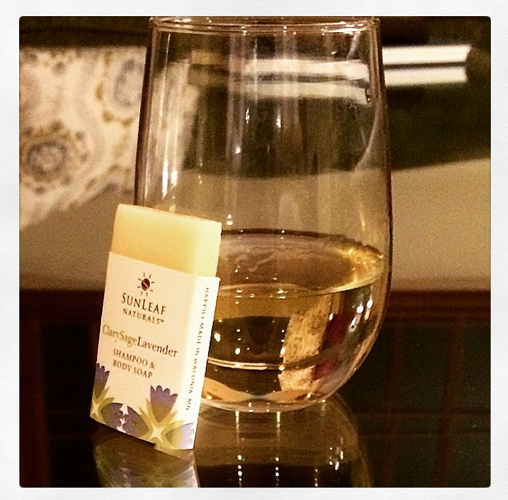 This week we have soap and chardonnay. Well, at least mine is chardonnay. I'm not sure what type of wine Lee has. No matter what, it's a pretty awesome combo. I think this is the best #TwinTuesday to date. I love this photo a lot. There's something super lovely about it.